Dr Z's "The Journey into Unus Mundus" (since 1996) has been devoted to introducing readers to a few of the basic concepts behind the ideas of Dr. Carl G. Jung, Depth Psychology, Archetypes & Symbols, Healing of Soul, and Dreams. And for those of you surfing through that are already well acquainted with Jung and Jungian thought? No promises... but the Journey into Unus Mundus might even manage to have a surprise or two waiting for you. 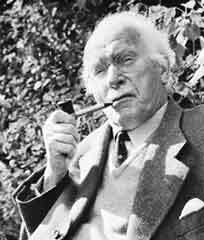 Hear C. G. Jung speak about whether or not he believes in God. Part of Fortune What was Jung's astrological Part of Fortune? "Where love rules, there is no will to power, and where power predominates, love is lacking. The one is the shadow of the other." Please note: The scattered information and ideas shared on these few pages are meant to be little more than a very small, but delicious taste of Jung's ideas... and it is certainly not meant to be a scholarly treatise and/or final word on any of the concepts briefly shared. Mobile Users: Dr Z recommends Mozilla Foxfire and utilizing its awesome Reader Mode when viewing site articles on your Smart Phone. Fundación C.G.Jung de Psicología Analítica de la Rep. Argentina For my Spanish speaking friends: The first organization promoting Jung's thoughts in Argentina. Carl Jung and Wolfgang Pauli - As a long time fan of Jung and Pauli this site is a wonderful (not to be missed) resource. J. Gary Sparks explores synchronicity, science, and beyond. John Ryan Haule Jungian Analyst, writer, & lecturer. A lot of excellent and weighty material here, as John shares with the internet manuscripts from several of his various lectures and also chapters from his extraordinary and unique books. Attended one of his workshops many Moons ago. John rocks! Ashville Jung Center Woo Woo! Here's an awesome resource! Every couple of months, for a very reasonable price, they bring leading Jungian speakers right to your home live via the internet. They strongly feature one of my personal all time favorite Jungian author/lecturers, the current President of the International School of Analytical Psychology, Dr. Murray Stein, out of Zurich. They also maintain a DVD store containing past lectures.